Practice Areas Business and Commercial Law – Zimney Foster P.C. Corporate Structures, Joint Ventures, Partnerships and Limited Liability Entities. Our lawyers have the knowledge and expertise to advise clients on the various types of corporate and business entity structures, partnerships, joint ventures and limited liability entities for the purpose of implementing asset acquisitions and divestitures, sales and redemption of ownership interests and building creative capital structures for business ventures and the creation of flexible management structures. We also have the experience necessary to assist clients in the creation, registration and administration of those entities. Contract Creation, Litigation and Dispute Arbitration. Our lawyers counsel individual and business clients on contract interpretation. We provide extensive contract drafting expertise as well as the experience to provide assistance to those clients in enforcement, litigation and dispute arbitration of those contracts. If you are involved in a dispute concerning any contract or agreement, including employment contracts, non-compete agreements, buy-sell agreements, or another commercial transaction. We can provide you with the experience and expertise necessary to help evaluate and resolve the dispute in a cost-effective manner, whether through negotiated settlement or through trial if necessary. Corporate and Entity Mergers and Acquisitions, Dissolutions and Terminations. We represent both buyers and sellers – including banks - in acquisitions, divestitures of business entities and joint ventures. We work with our clients and their other advisors to organize and analyze the relevant facts (“due diligence”); to identify and develop solutions to business, operational and legal problems in cases where only part of an enterprise is being sold; to explore and implement financing arrangements; to comply with and obtain appropriate clearance under tender offer, registration, proxy and other securities law requirements; to identify and resolve other potential legal problems (including tax, antitrust, employee benefits, labor, environmental, liability exposure, real estate, and governmental and other consent/approval issues); and to negotiate and draft the implementing agreements and other documentation. Stock Transfers, Pension and Profit Sharing Plans. 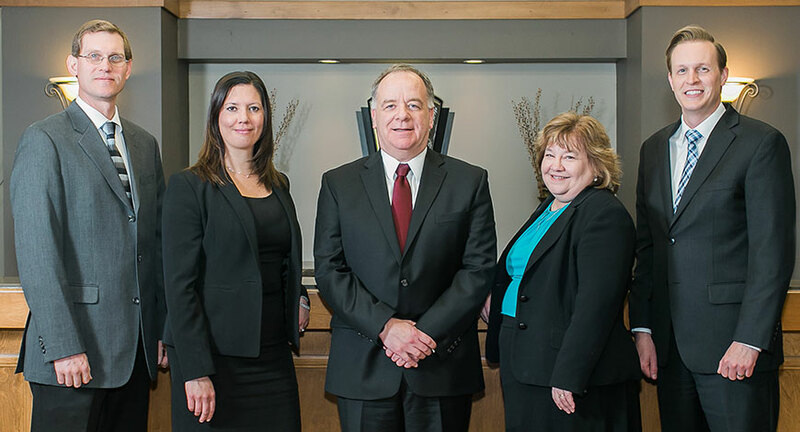 Our lawyers provide assistance and counsel on matters regarding executive compensation and employee benefit issues like designing employee benefit plans, providing protection for plan fiduciaries and advising clients on executive compensation. We also provide representation in resolving interrelated issues. Litigation Services for Various Business. Our firm represents large companies, financial institutions, insurance companies, manufacturers, transportation firms, medium-sized corporations and family-owned businesses, as well as individuals in complex commercial litigation when it arises or when it needs to arise. Our experienced legal team will provide you with aggressive, powerful, result-oriented advocacy in and out of the courtroom. We will work to bring your case to a favorable resolution, whether by trial to a judge or a jury, arbitration, or by negotiated settlement.